I know some may think we are crazy. We are at a point in our family life that things are feeling pretty easy peasy. We have three great children who are older and able to do things on their own. They sleep all night. They can make their own lunch for school. We can sleep in on rare Saturdays and they can entertain themselves. We even have one who is old enough to babysit! So why rock the boat? Because that is what we are supposed to do. We are meant to add more children to our family so we are adopting again! We are beyond excited, but we are also trying to keep it in check. This is just the start of a long and sometimes frustrating road. We've been down a similar path with adopting from Guatemala so we are well aware that we need to keep an open mind and be ready to give a lot of control over to strangers half way around the world. 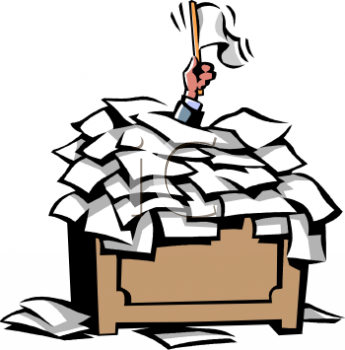 We know that the stack of paperwork will be the equivalent to a forest of trees. But we also know that at the end of it all, the bumps and bruises of the journey will be long forgotten and the only thing we will be focused on will be our arms around our child! We are just at the very beginning. Today I filled in a preliminary application and sent it in to the agency we chose to facilitate our adoption. It takes a minute to get to even this very beginning step. The answers to these questions may tell you if you would be better matched to chose International or Domestic Adoption. If you find yourself thinking International you will have to start looking at countries and look at their requirements. For example, we would not qualify to adopt from Nepal because we already have more then one child in our home. We would qualify for China, but someone with a BMI of over 40 would not. Once you decide on a country or domestic adoption then you have to decide on an agency. There are many, many, many agencies out there. The key to picking one is to start researching and ask questions. Stalk facebook pages, look up reviews, call agencies and speak with them, ask for references and contact them all, join adoption forum groups. Not one agency will fit all people. When you find the right agency for you, you will know. You are going to be relying on these people for a long time for something very precious so make sure you like them! I'll tell you more when we take the next step!